This week we take a look at the Birth Chart of Victoria Beckham. Now 40 years old, she’s come a long way from her pouting Posh Spice days. 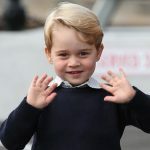 With a little brother or sister on the way for Prince George, lets take a look at what his Astrological Birth Chart says about our future king.